The MINI John Cooper Works Team is hosting a MINI Patio Hospitality event for the BMW Performance 200, the first race of the 2016 IMSA Continental Tire SportsCar Challenge season and the Rolex 24 Hours. 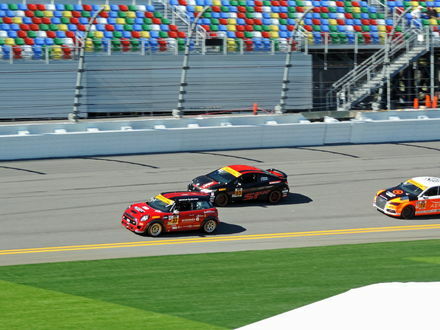 MINIs will be racing in the BMW Performance 200 which starts on Friday, 1/29 at 1:45 PM. The ticket includes parking for the first 25 MINIs. Details about a meet-up before the Friday race will come soon. Who is planning to go? We will be there. 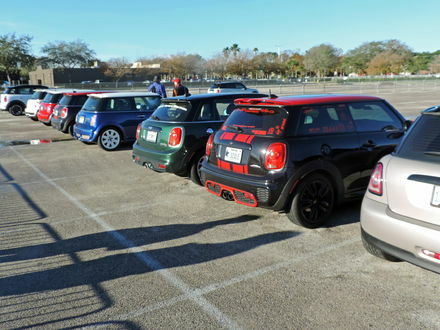 This is a great way to see the races and share the event with other MINI owners. Does this include infield tickets to the Rolex24? The MINI Hospitality Patio is located along pit road, at the exit end. The patio name is confusing, but that is the term that Daytona uses to describe these enhanced viewing spots. They are right behind the pit wall, giving a view of the front straight and the braking area to the turn into the infield. They are steel framed structures with an enclosed area on the ground level and elevated seating above. 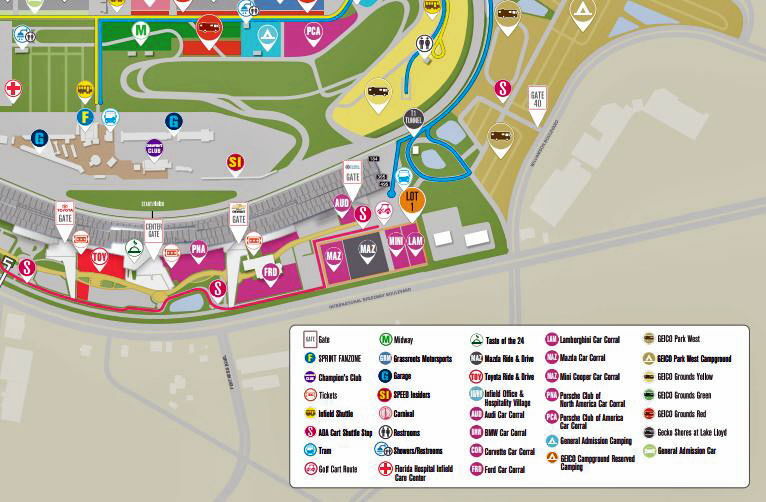 The Hospitality tickets will include reserved parking in the MINI Corral, infield passes, and garage passes (you have to go through the garages to get to the patio). This event needs to be listed on the Upcoming Regional Events list on the forum. Daytona Rolex 24 Hour Facilities graphic above. The MINI Corral will be right along US 92, behind the grandstands, just below the round orange Lot 1 marker in the graphic. We are located next to the Lamborghini Car Corral. The Hospitality Patio is along pit road near the red circle with SI in the graphic. This will be a much upscale experience at the races. How do we get this event on the list of Sunshine MINI Regional Events? MINI USA will be providing a full menu on race day, Friday January 29th, beginning with a Continental Breakfast at 9:00AM. On Saturday there will be Chips and Dip served at 2:00PM and Meatball Sliders at 6:00PM. On Sunday at 9:00AM a Continental Breakfast will be served and at 11:00AM there will be Buffalo Wings served. Soft Beverages will be served all three days. James and I are going. See you there. Early arrivals at the MINI Corral and the racing action on the track. Great weather, wonderful hospitality by MINI USA and LAP Motorsports, and exciting racing. A great day at the track.